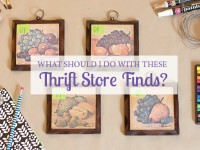 Earlier this summer, I was invited to join a group of bloggers for the Thrift Store Swap. I love giving thrifted finds new life and am very excited to complete my first challenge with this group. 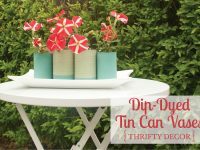 Everyone in the Thrift Store Swap was assigned another blogger to ship a thrifted find to, and then our challenge was to make over the thrifted items we received. Whelp, today is your lucky day because it is blog hop day! 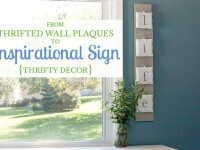 All ten of us are revealing our thrifty transformations (links to everyone’s blog posts are at the bottom of this post). Lyn (from MidMichigan Mom) sent me this wine box. (Lyn is the brainiac who dreamed up the idea for the Thrift Store Swap.) 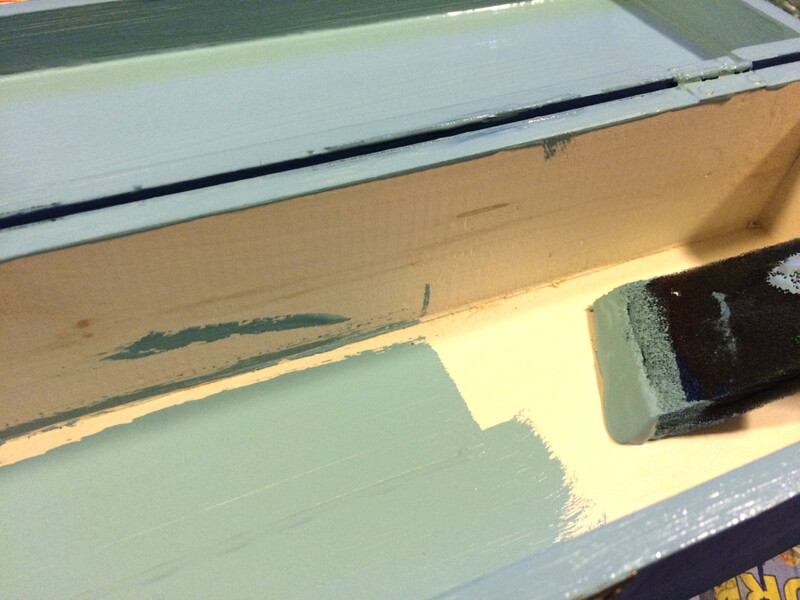 I knew instantly that it would be easy to transform it with some fresh, bright paint. But I had a difficult time deciding what the purpose of the box would be. I wanted to transform it into something beautiful and useful. After weeks of pondering, a light bulb went off in my brain. The box is the perfect size for tea! This idea was totally out of the blue, but I dug out some tea packets from the cupboard and, sure enough, they fit perfectly. I don’t make tea very often, but I have a hunch that having a box of tea out in plain site will exponentially increase my tea consumption this fall and winter. It’s perfect! 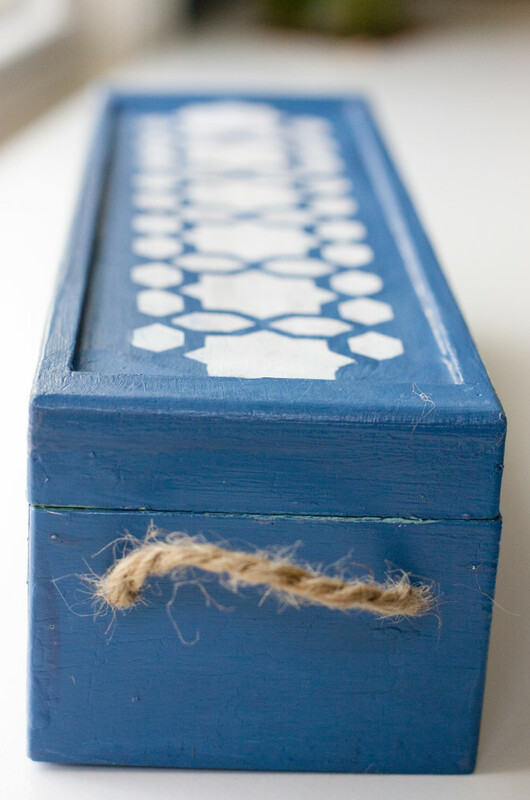 If you’ve been reading this blog for any period of time, you’ll know by now that I’m obsessive over the color blue. 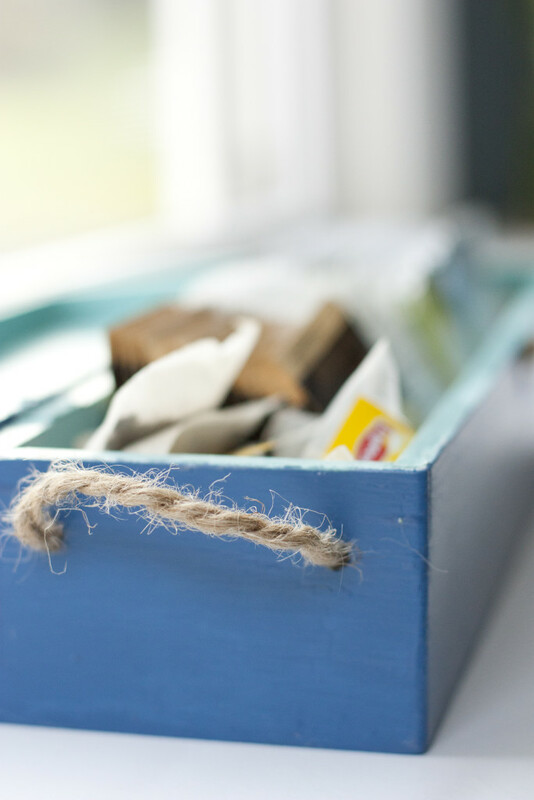 So, I chose two pretty shades of blue (Waverly Inspirations Chalk Paint in Ocean and Agave) from my chalk paint stash. This project took very little paint, so it was nice to be able to use some that I already had on hand. 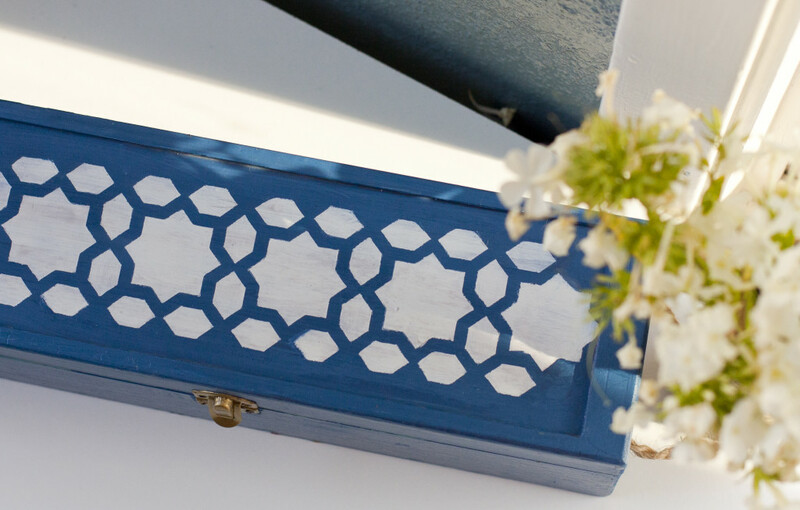 Plus, I know these blues will match other accessories in my house since I’ve been using them for all sorts of things lately. 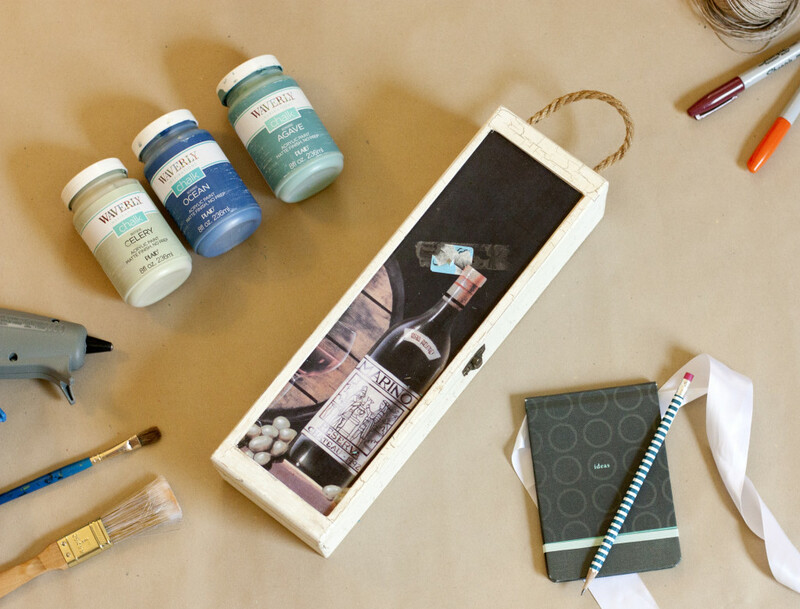 You’ll notice in the original photo that the wine box had a little rope handle on one end. I decided to mirror that on the other end of the box, and simply drilled two holes so I could add new handles on both ends. I applied two coats of paint to this box. 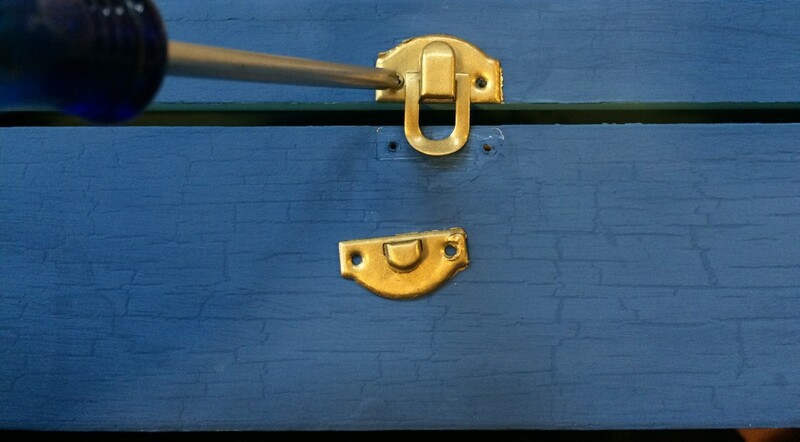 I removed the latch hardware first, and then covered the outside of the box in the deep blue. Once that was completely dry, I tackled the inside of the box. I used little foam brushes. 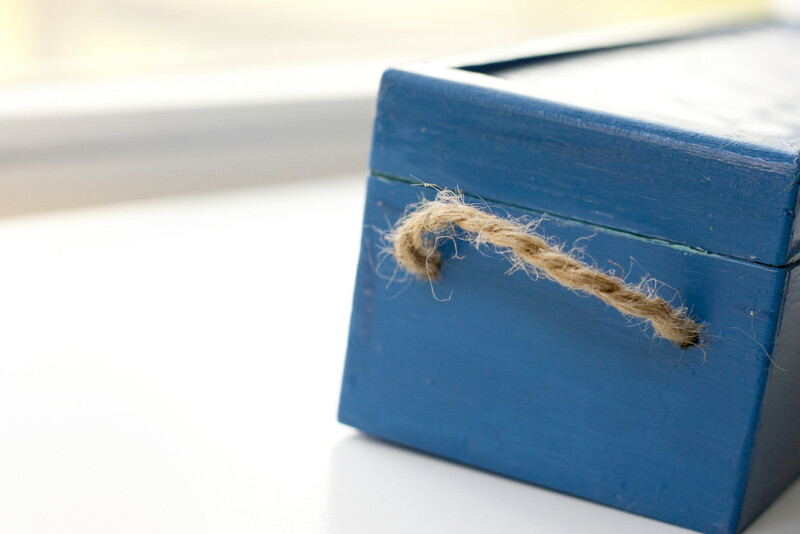 The box has a cute latch on the front. 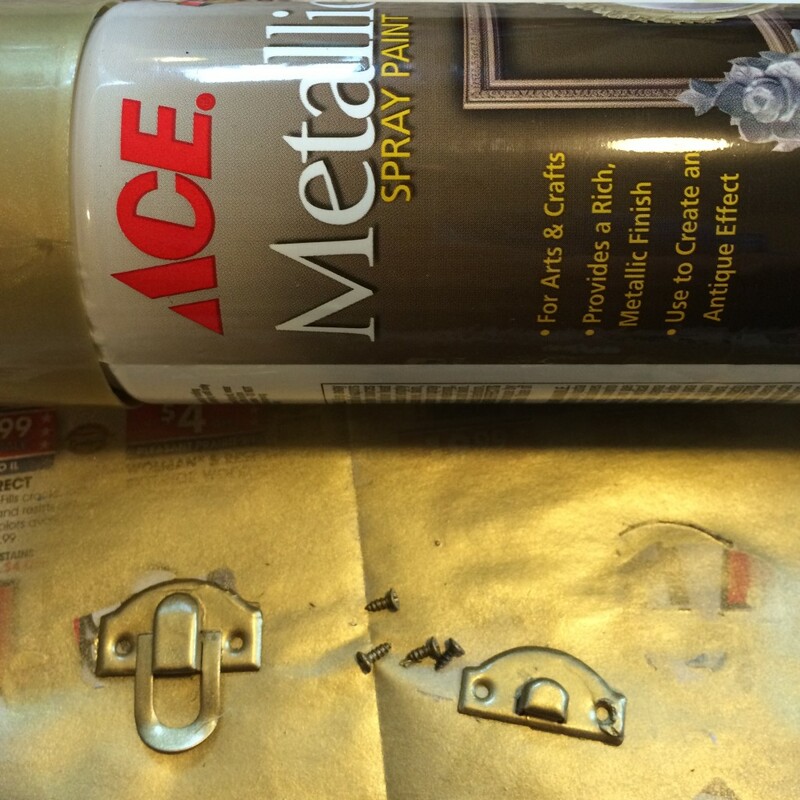 I chose a gold spray paint from my craft stash and gave the latch a shiny new look. Once the box was dry, I simply screwed it back in place. 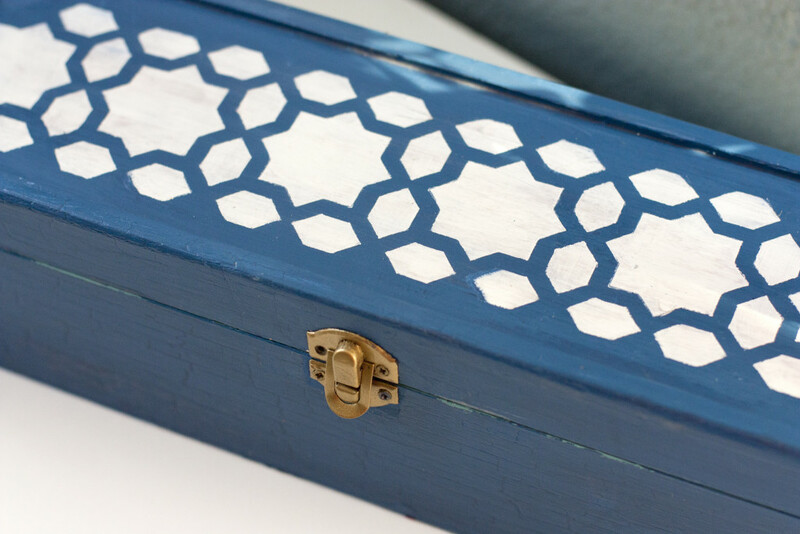 I had this awesome Martha Stewart stencil set on hand, and decided the lattice design would add interest to the box. I used a light coat of spray adhesive on the back of the stencil to help hold it in place while I painted. This also did pretty well at keeping paint from running underneath the stencil. I used a small sponge brush to dab the white paint on and it took several coats of paint. This part requires some patience! After removing the stencil, I went back through with a small detail brush and cleaned up the edges. 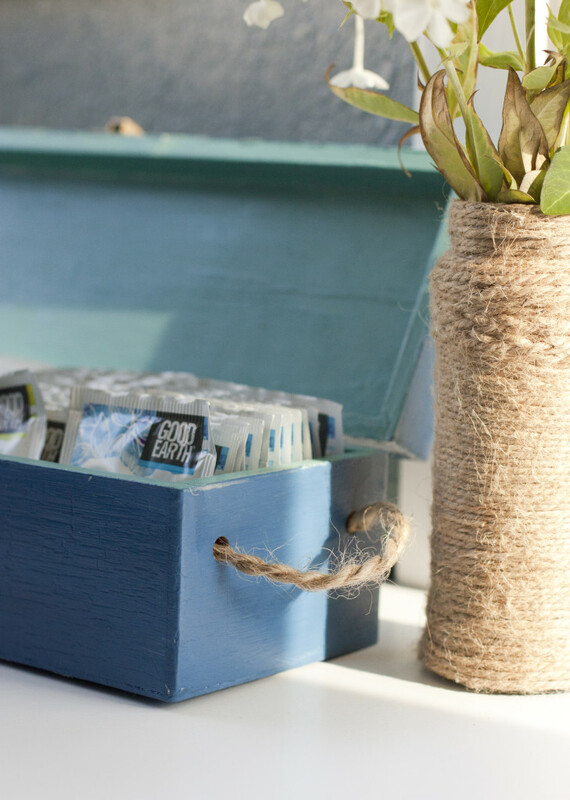 I used a Mod Podge glossy top coat to give the entire box a smooth, protective finish. Make sure your paint has had ample time to dry overnight. I got impatient and started painting on the first coat too soon, which made a bit of the blue paint streak. Whoops! 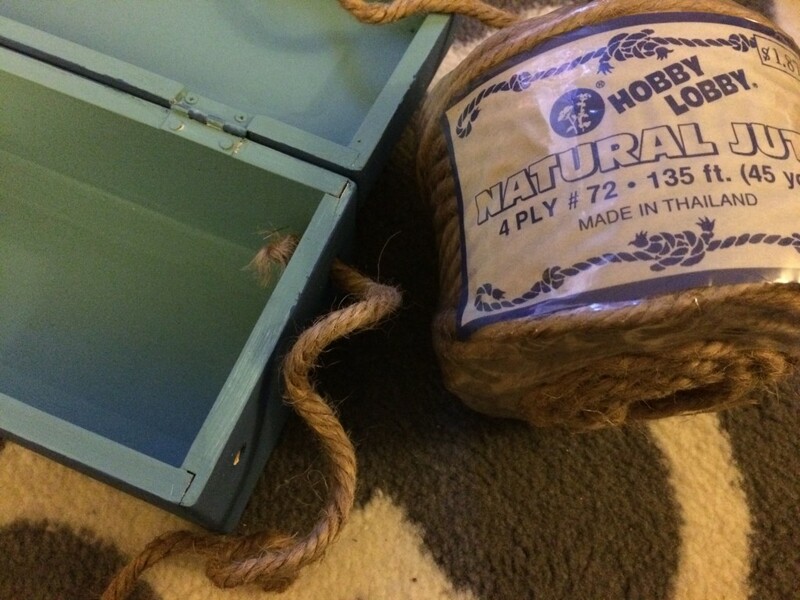 I thought about searching the hardware store for some fun handles, but ultimately decided to save the money so I used rope similar to what was originally on the box. I had some rope on hand that worked well. I simply strung it through the pre-drilled holes and knotted the ends. 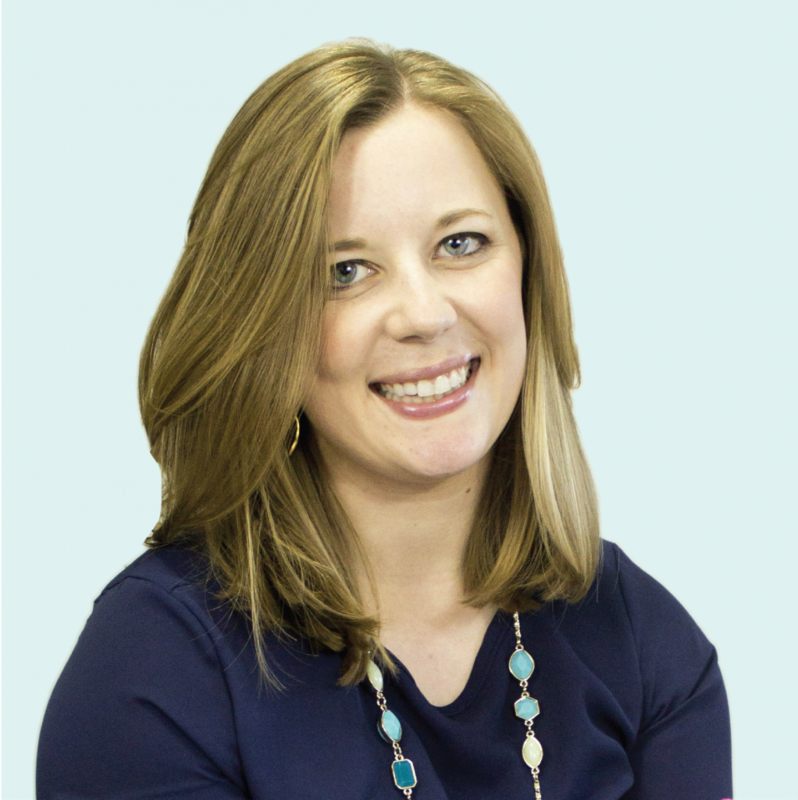 …now go check out the after! 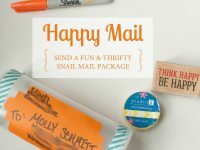 Your next stop in our Thrift Store Swap blog hop is to visit At Home With Sweet T, where you will get to see what Tracy dreamed up from the thrifty items I mailed to her. Go see what she made! In the spirit of full disclosure, some of the links in this post are affiliate links, which means that I may get a small commissions if you decide to purchase anything after clicking on them. Rest assured that I only recommend products that I use and love myself, so I know you’ll be in good hands. Read the fine print here. Thanks for supporting this site! 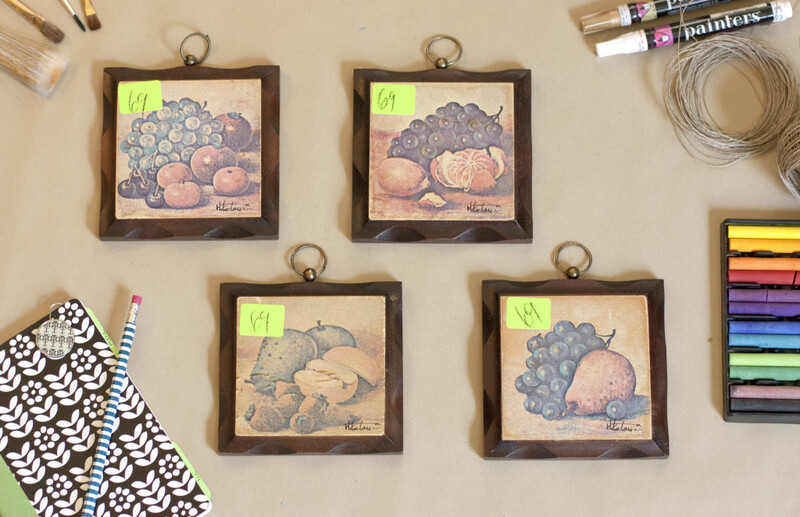 I love your projects, the wall hanging with the fruit plaques and this one… this one is my favorite though. What a great idea, I love tea and I can see that I need to make myself one!! Thanks so much, Tania! It means the world to me that you took time to visit and comment on my post. I’m quite obsessed with my little tea box. 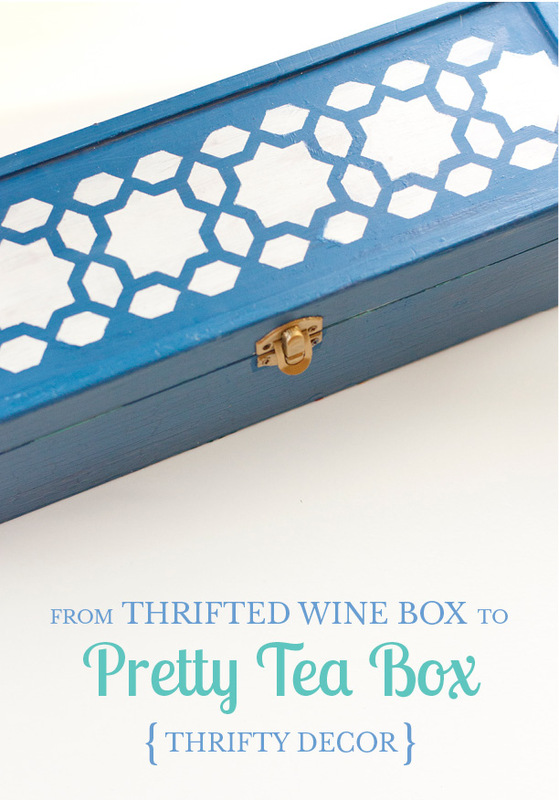 I’d highly encourage you find or make a pretty tea box for yourself. Great ideas. 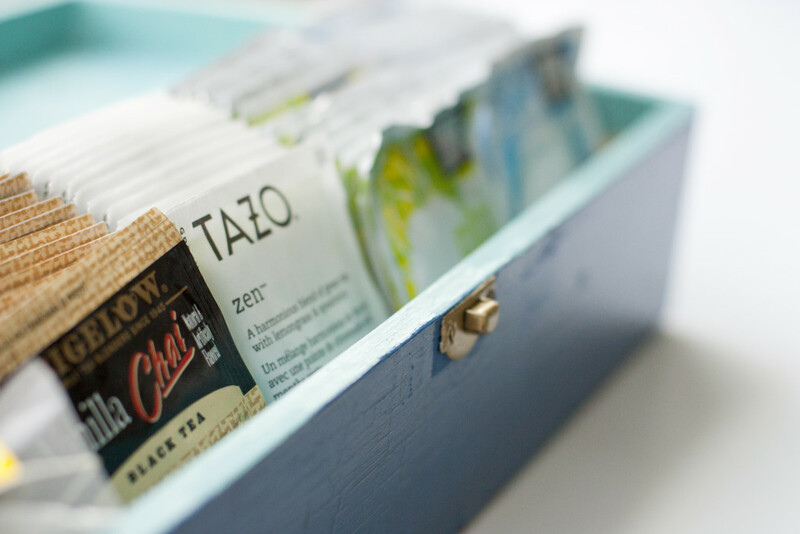 I love tea and absolutely adore the box! 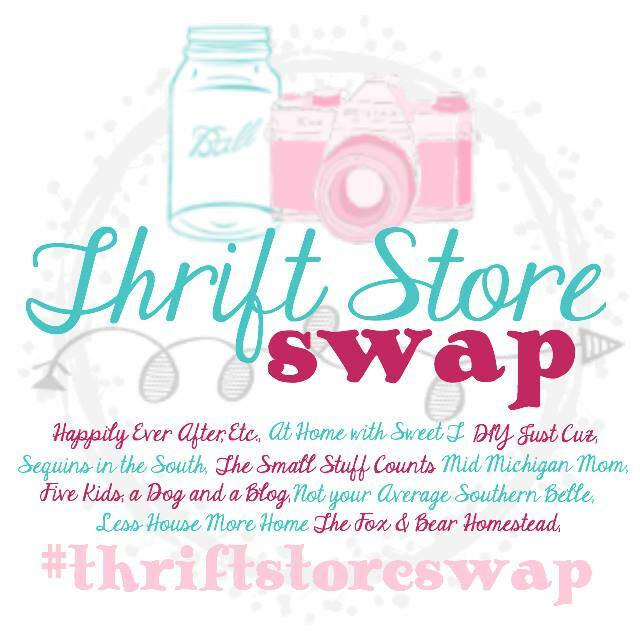 I would love to join you all in the next Thrift Store Swap! Thanks for stopping by, Paula! Be sure to subscribe to my emails to make sure you get any info about openings for more bloggers to participate in future swaps. It was loads of fun! Thanks so much, Tracy! It was a ton of fun to do the swap…thanks for letting me participate with you gals! How funny that we used the same stencil! I have never had much luck stenciling before, but I read about the spray adhesive trick recently so I gave it a shot. It worked pretty well. Also make sure you’re brushing in from the edge of the stencil with a light coat of paint so it doesn’t smoosh underneath your stencil and make a mess. Thanks for visiting! Emily, you did a fantastic job on this! 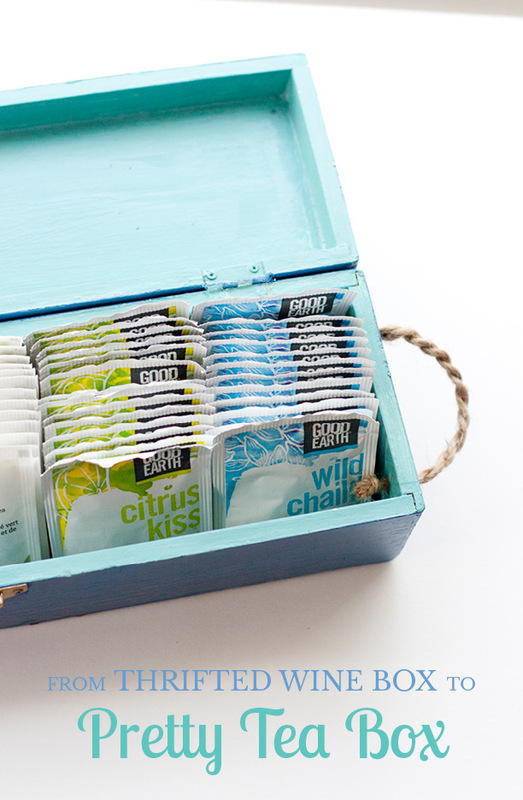 Tea bag storage never crossed my mind when I bought this for you but now it looks like it was never anything else! LOVE! Haha, I don’t think tea bag storage would have crossed many people’s minds. In fact, I’m still surprised it crossed mine. I hardly ever drink tea. But that’s eventually what came to mind when I was racking my brain trying to think of something that would fit in it. It sure does make me want to drink tea more often now! Thanks for inviting me to participate in the swap. I love how it turned out Emily!! 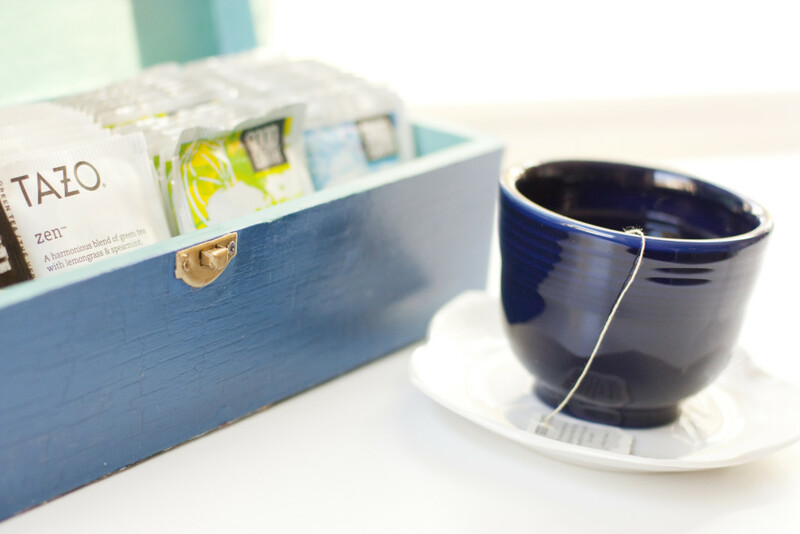 It’s so cute and just the perfect size for your little tea bags! I can’t wait to see what you did with your other item!